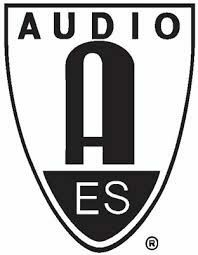 The Audio Engineering Society has begun to announce details for the upcoming AES New York Convention in October, including some of the initial offerings granted for both free Exhibits-Plus and premium All Access badge-holding attendees. This year’s 143rd International AES Convention will offer four days of intense audio research presentations, workshop and tutorials, as well as three days of pro audio gear exhibition. The convention will also see the return of the popular series of exhibition floor Expo events, including the Project Studio Expo and Live Sound Expo, and the debut of the Broadcast Audio Expo, Broadway Sound Expo, a new software@aes pavilion and a series of Mix with the Masters Mixing Workshops. The AES has integrated a dedicated software@aes pavilion into the AES New York Convention in partnership with IMSTA (International Music Software Trade Association). This new showcase will feature leading software manufacturers and developers of DAW’s, plug-ins, virtual instruments, apps and technology through a series of product demonstrations and special presentations. The AES and Mix with the Masters have teamed together to bring a program of workshops from the world’s best engineers and producers for this first-ever AES exhibit floor collaboration. AES NY attendees can meet and learn from Alan Meyerson, Andrew Scheps, Tony Maserati, Manny Marroquin, Sylvia Massy, Eddie Kramer, Joe Chiccarelli, Greg Wells, Chris Lord-Alge, Tom Lord-Alge, Jacquire King, Michael Brauer, Nick Launay, Jack Joseph Puig, Jimmy Douglass and other surprise guests. Mix with the Masters Mixing Workshops are held in association with Barefoot Sound, Solid State Logic and Apogee Electronics. The Broadcast Audio Expo sessions, also open to all AES attendees as part of the free Exhibits-Plus package, bring a new focus to the exhibit floor, covering subjects of broadcast audio in networking, radio and TV studios, outside broadcasts and major events. As one of the pioneers in the interoperability of networking protocols, AES will host a special insight panel that will look into the current and future of AoIP and transport systems. The Broadcast Audio Expo is being held in partnership with sponsors Yamaha, Neumann/Sennheiser, Clear-Com and Calrec.